Ghana’s sole representatives on the continental stage, Asante Kotoko SC have recorded an impressive 3-2 away win over Cameroonian side Coton Sport. Emmanuel Gyamfi and Maxwell Boakye gave the Porcupine Warriors a 2-0 lead 30 minutes into the game before Kamilou Dauda pulled one back for Coton Sports before the half time break. The Cameroonians came into the second half in search of an equalizer and mounted pressure on Asante Kotoko. Coach CK Akunnor’s side proved to be very resilient and added to their goal tally when Abdul Fatawu picked up a misplaced pass and slotted home to give Kotoko a 3-1 lead. Kamilou Dauda however scored his second goal of the day to reduce the deficit for his side. 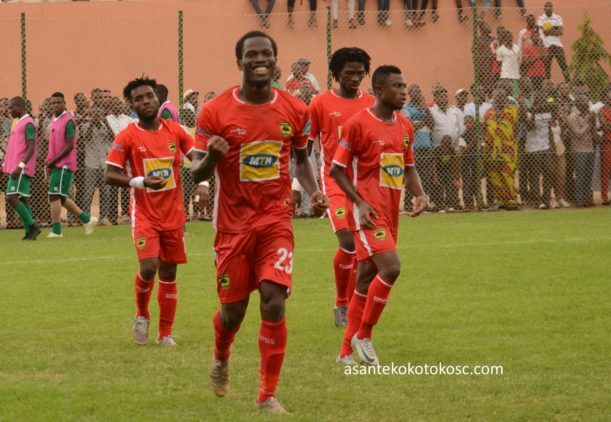 Kotoko were able to maintain their goal advantage as the game ended 3-2 in their favour ahead of the return encounter. The second leg tie has been scheduled for Sunday January 20 at the Baba Yaya Stadium in Kumasi. The last time Asante Kotoko played on the group stage of the competition was in 2004 where they finished as runners up.